Sharing is caring! And other helpful tips for using a common laundry room in your apartment building. Doing your laundry in an apartment building and sharing those machines with other residents means there is an unspoken ettiquette that all are expected to follow. Not sure what those rules are exactly? We're here to help! Bring all of your dirty laundry in a basket or bag so no items are dropped on your journey to the laundry room. Pack your soap, dryer sheets and any other items you'll need in a backpack so you have free hands for your loads of laundry! Have your laundry pre-sorted, so you don't have to separate colours from whites, in the common space. Doing the laundry can be noisy and it's easy to get carried away while you wait. Extra noise can be disruptive to those living in the suites close to the laundry room, so be mindful of your timing and avoid late night and early morning washing. Whether you are washing alone or sharing the space with a neighbour, wear earbuds when you listen to music or watch videos on your smart device. Planning out a day and time to do your laundry might take a bit of trial and error. You may need to visit the facilities a few times to find a day they aren't busy and a time that will work with your schedule. If you choose to leave the laundry room while your clothes are washing, set a timer that will remind you to return and retrieve your clothing. After you have done your laundry, make sure you clean up. Wipe any soap spills or dirt left on the washer, clean dryer lint traps, and discard all used softener sheets into the trash. We've all been in the situation where someone else's laundry is sitting untouched in a washer or dryer for hours. This is usually when most of the resident disagreements happen! It can be frustrating to see someone else's clothes sitting in a machine after it has run its cycle, but removing the articles right away isn't the answer. Be patient and give your neighbour extra time to retrieve their clothing. If you can, avoid removing their items from the machine - wait until another machine opens up if possible. You wouldn't want someone else touching your unmentionables! If you do decide to remove the clothing - do so respectfully. Always place clothing on a clean surface or in a basket. 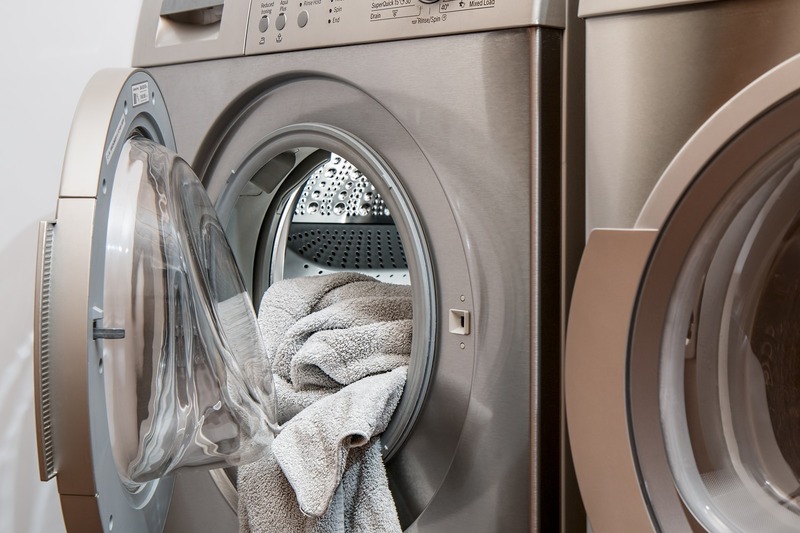 Don't place wet items in a dryer and, even though it may seem considerate, never dry your neighbours clothing. Some articles can be heat sensitive, so drying wet clothing without permission, can cause damage. Sharing common spaces with others can be stress-free when you are kind, considerate and mindful of personal space!